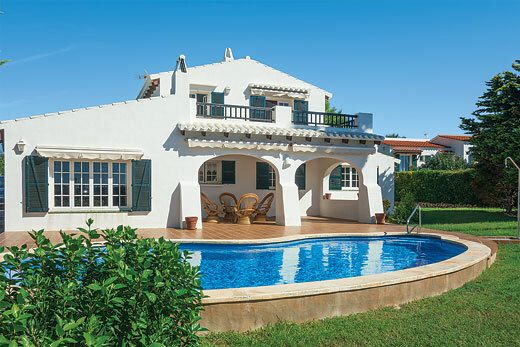 Casa Marron villa - Menorca , Spain . 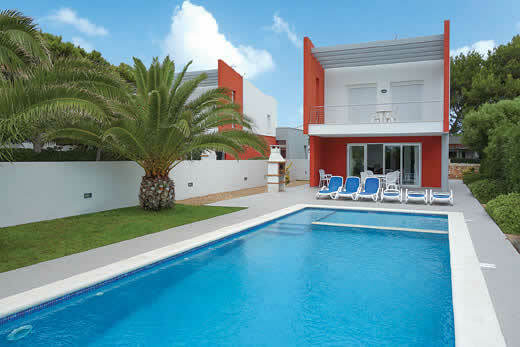 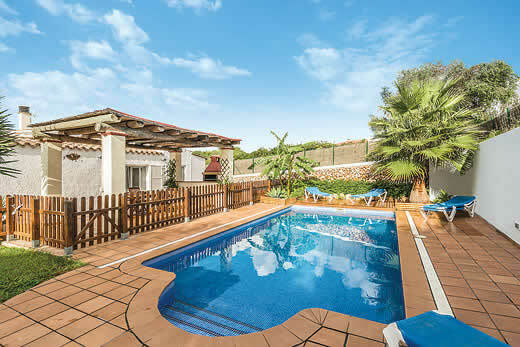 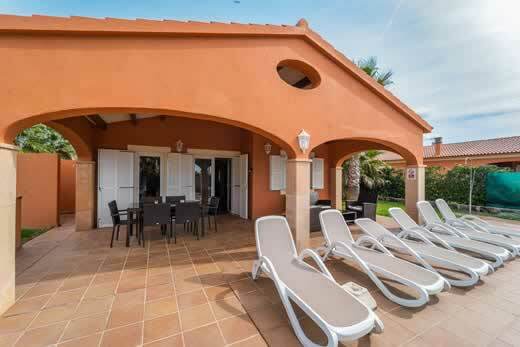 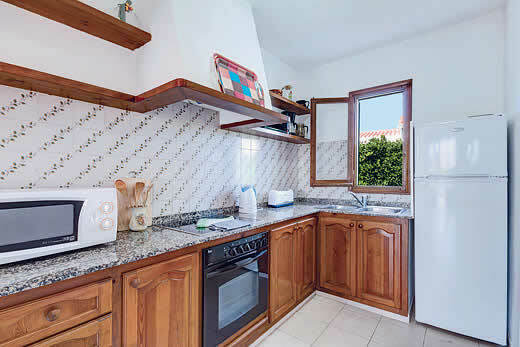 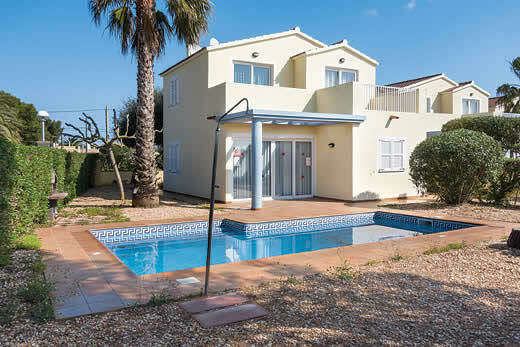 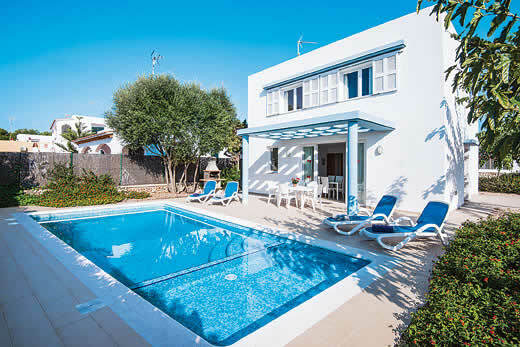 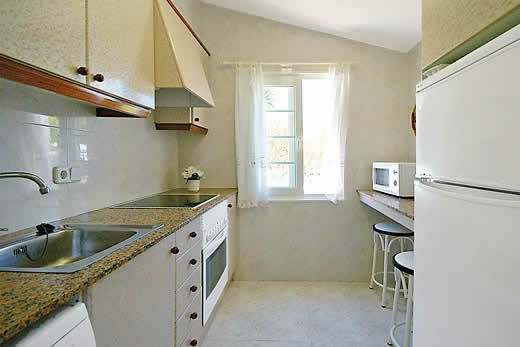 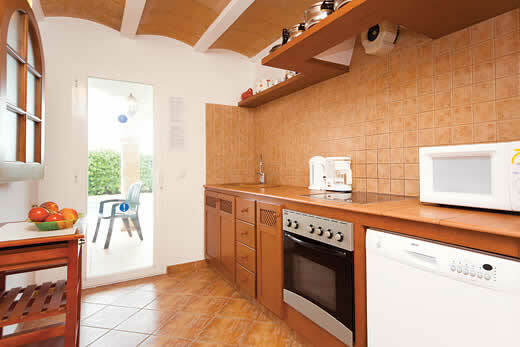 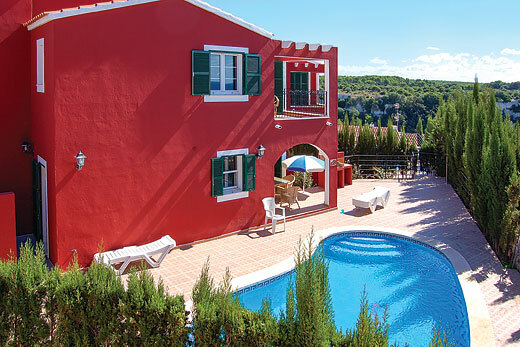 Self Catering Family Holidays and Short Breaks in Menorca. 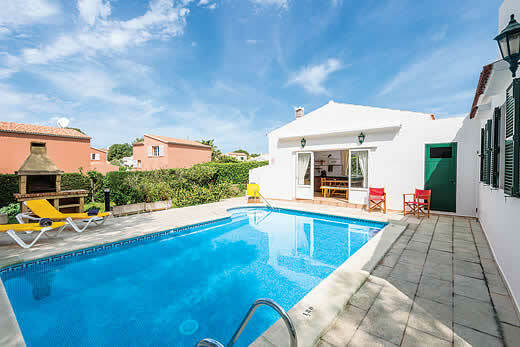 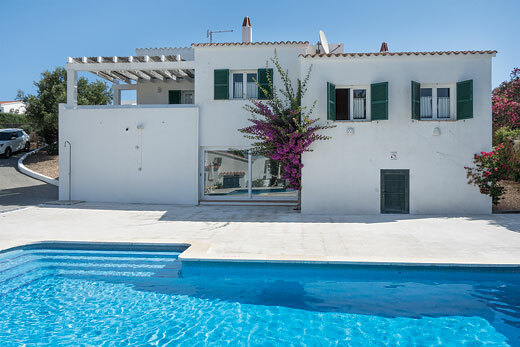 What we think of Casa Marron villa in Menorca:James Villas are delighted to be able to offer this superb property which enjoys a truly privileged position in a quiet street in the heart of Binibeca Vell. 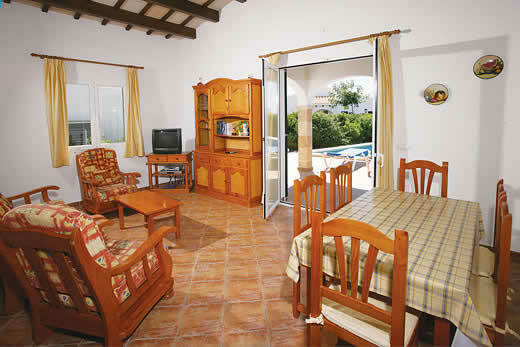 The shops bars, cafés and restaurants are all within easy walking distance as is the lovely, family friendly beach. 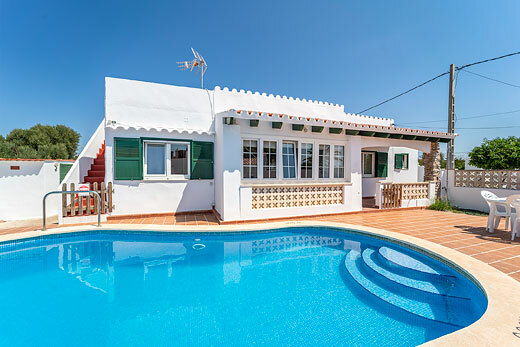 Furnished and decorated with style and comfort very much in mind, the house provides ample accommodation for large families or groups of friends and the layout offers several options for large or small occupancy. 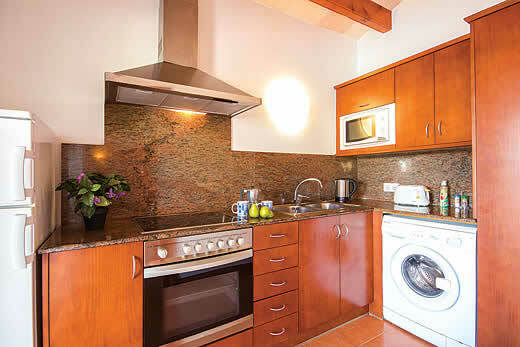 The facilities include all the modern conveniences you need and more, with plasma TVs in all bedrooms, large screen TV in the lounge with DVD and a selection of DVDs including childrens films, air-conditioning throughout and a modern kitchen. 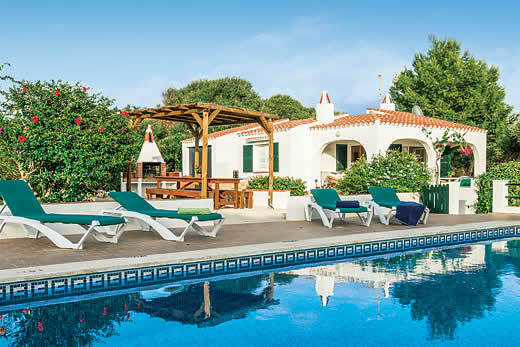 The grounds of the villa are extensive and offer sea views from the shaded terrace overlooking the large swimming pool complete with four swimming lanes. 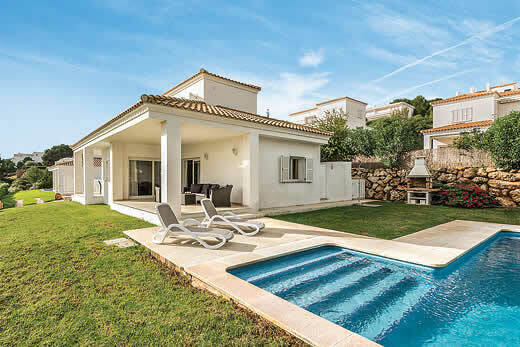 Theres a circular hot-tub which comes into its own on those starry summer evenings, especially with a glass of bubbly, and a great barbecue for al fresco dining. 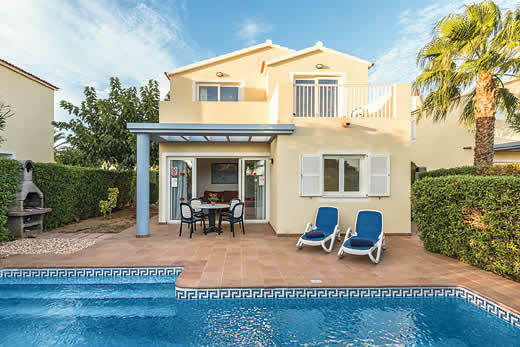 If lazing about or swimming isnt your thing theres even an American pool table and futbol table to while away those long, relaxing holiday hours. 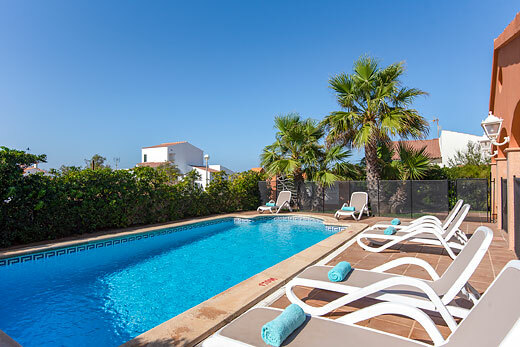 Holiday offers and last minute deals in Spain from only £2712 - Don't miss out book your holiday with uk-holiday-offers.co.uk today!